Born in New Jersey, Carlos Rodriguez has lived in the Southwest Florida community for the last thirty years. He attended both the University of Florida, and Florida Gulf Coast University where he earned a Bachelor of Science in Finance, and a Master of Business Administration. 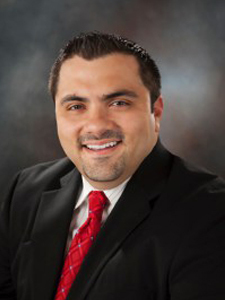 Originally in the accounting industry, Carlos switched to banking in 2005 when he joined Bank of America. 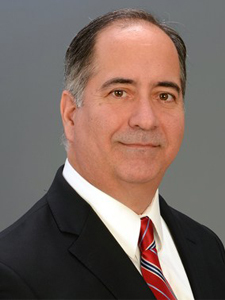 Since switching to banking, Carlos has worked in several positions within Bank of America, and is currently a Vice President and Financial Center Manager of the Pavilion Financial Center in Olde Naples. Carlos has been involved with the Council for the last five years and has been on the board for the last four and is currently service as Vice President. Carlos has been involved in the Southwest Florida community through the bank for the last ten years. He has also served as a Governance Chair for the United Way of Collier County for the last three years. 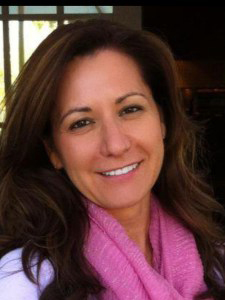 Anna D’Amico is the President of Barna Capital Managment in Naples FL. She was born in Barcelona, Spain and graduated from the Autonomous University of Barcelona with a Bachelor of Psychology in 1989. There she also completed her Masters in Human Resources Development, and later her PhD in Organizational Development and Processes Consulting. After concluding her studies, she worked as a Junior consultant for Dextra Consulting; the as a Human Resource Manager for Brokers Invest SL. In 1994 she married and moved to Chicago, IL, where she worked as a teacher at Army Trail Elementary School District 4, State of Illinois. In 2002 she moved to Naples and started working in her husband’s Dental Office. In 2010, she started, Barna Capital Management, where she currently works. 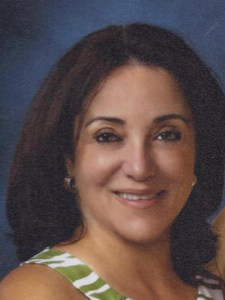 Albalucia holds years’ experience in fraud investigation, litigation and law enforcement investigation, reconstructing financial transactions, assessing internal controls, applying accounting principles to factual issues, conducting witness interviews, and evaluating potentially incriminating evidence uncovered through document reviews. Her experience includes a wide variety of industries such as administrative and financial services and business development, insurance companies, financial institutions, construction companies, retail operations, litigation matters, private country clubs and online marketing. Her office offers services of auditing for fraud, business valuation, litigation support, international accounting, business crime and ethics, fraud risk management, accounting and book keeping. 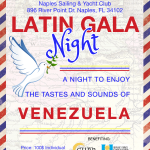 Claudia Villavicencio works at Community School of Naples and she has a passion for teaching Spanish language and Hispanic culture. Originally from Guatemala, she traveled to the United States for college twice and she stayed the second time. She has a degree in communication and journalism, a BA in commercial art and a Master’s degree in Education. Claudia worked in the corporate world for many years and discovered that she loves teaching 15 years ago. She has one son, Gabriel, who is in the US Navy. Claudia and her sister Luisa Villavicencio have a textile company in Guatemala, Algodones Mayas. Their creations are 100% ecologically friendly, 100% natural undyed cotton that they grow in Guatemala, and with recycled denim that reveals the natural shades of the fiber. They provide jobs for over 300 Guatemalan artisans and farm workers. A lot of families depend on Algodones Mayas (Mayan Cottons). Claudia and her sister know that Algodones Mayas holds a great duty to the weavers, to their parents who started the company over 20 years ago, and to their country, whose textile tradition should not be lost. Eric is known for civil litigation in both state and federal courts. His practice areas include complex commercial/business litigation, complex construction litigation, catastrophic personal injury, wrongful death, employment related matters, summary administrative proceedings and civil rights. (He was defense counsel for the County Manager of Collier County in several civil rights disputes). His clients include investment firms, developers, construction companies, homeowner/condominium associations and individuals. His practice also involves defending professionals, including physicians, other health care providers, veterinarians, mortgage brokers and real estate agents, in disciplinary proceedings. Mr. Vasquez’s primary focus is trial practice. He has conducted numerous jury and non-jury trials and appeared on behalf of clients before disciplinary and administrative tribunals. He has also prosecuted and defended appeals in the Florida appellate courts as well as the United States Court of Appeals for the Eleventh Circuit. Eric has a long history of volunteering his time and providing service to the community as well as to the local bar association. He serves on the Advisory Board for Catholic Charities of Collier County. 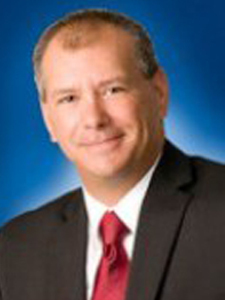 He volunteers for the Collier County High Schools’ Mock Trial Competition; he has spoken to high school classes during Law Week; he has participated as an educator for the Justice-in-Teaching initiative of the Florida Bar; and, he has been a speaker at Continuing Legal Education seminars in the areas of trial practice and employment law. Mr. Vasquez also coaches the Naples Bears High School Rugby team. Mr. Vasquez is listed in Martindale-Hubbell®, AV Preeminent Rated. He is a graduate of New England School of Law and Upsala College. Naples native Alfonso Olivos has joined the Board of Directors of the Council of Hispanic Business Professionals-CHBP after several years of close collaboration and membership of the Council. Olivos holds a Bachelor of Science degree in International Finance and Marketing, and a Master’s degree in Business Administration from the University of Miami. Recently, Olivos became Vice President and Senior Relationship Manager of Huntington Wealth and Investment Management, a new step forward on a successful ten-year long career on investment management with emphasis on personal trusts, endowments, foundations, charitable trusts, and institutional accounts. Olivos is very family-oriented, being the son of Colombian born Dr. and Mrs. Alfonso Olivos, who has practiced in Naples for over 40 years as a Family Practice and Internal Medicine Physician. Alfonso and his wife Ira Olivos, a Licensed Massage Therapist, have together two kids, Sebastian and Christian. 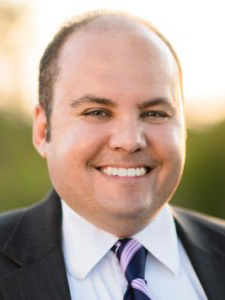 CHBP President between 2012 and 2015, and current Hispanic Council Foundation President, Andy is an attorney and Director of Cohen & Grigsby, a national law firm. Andy works with businesses to provide sound strategic advice. He concentrates his practice in land use, site planning, permitting, and related representation of clients before municipal and county boards and agencies. He advises companies seeking to relocate to the Southwest Florida area, as well as start-up businesses. His practice also includes advising clients on how to avoid litigation, the litigation of complex business and commercial disputes involving corporate, construction, real property, and land use issues. He helps corporate and small business clients in a wide variety of permitting matters and the interplay between law, business, and government. Andy is bi-lingual and regularly uses his fluency in Spanish to assist clients with their business interests and investments throughout Mexico, Central America, South America, and the Caribbean.